Last year, I did a special promotion called Holiday Chat where I offered a big discount for telephone conversations if the callers would agree to allow the calls to be posted online. I had many takers. Unfortunately, over half of them didn't read the fine print and had no idea their calls were going to be made public. As a result, only a few were recorded. People call me almost every week to talk on Clarity and I charge them $200/hr. for advice. 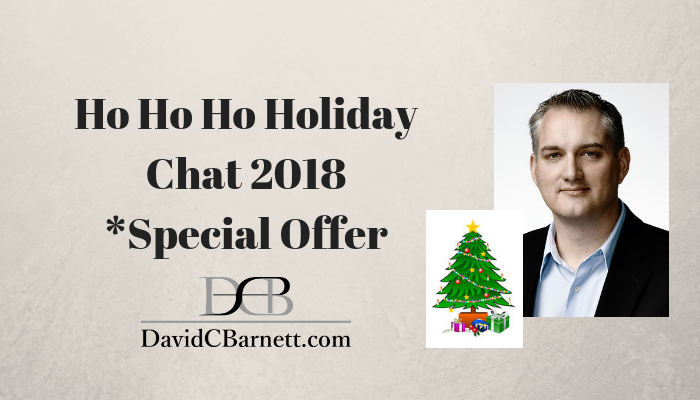 This year again, I'm offering 8 hour-long calls at 75% off. So just $49. They're also going to be put up on my YouTube and podcast feeds. You don't have to use your real name or anything. We can keep you anonymous.